Kitchen cabinets are the big eye catcher in any kitchen you walk into. Whether it is time for a whole home remodeling, or just an update to the kitchen, this is a great place to start. When the time comes to update your kitchen, you have a lot of things to think about. The one that stands out in many minds is the kitchen cabinets. When you hire us as your home remodeling contractor, you will get a whole host of options. We can offer you a range of styles from French country, contemporary, cottage style or traditional. As we walk you through the kitchen cabinet design process, you will be able to choose from a number of countertop options. These include stone, tile, wood, laminate, granite, stainless steel and Corian. If you would like even more luxury, we can go to quartz, marble, granite, or even soapstone. When we say custom kitchen cabinets, we mean custom. They will be designed exactly the way you want, so stop dreaming about home remodeling and get it started! We create the beautiful kitchen cabinets that you have been picturing in your mind for years. We know that means not just the look you want, but the functional work space, too. No one stands around just gazing at their kitchen cabinets, no matter how nice they are. You need a functional design that helps you cook and serve meals. When we walk you through the design process, we will guide you through the subtleties of what makes a kitchen flow. Where you put your open space makes a difference, and where certain items are stored is important as well. This is a highly personal decision, and we will make sure we get it right for you. Call us today and tell us about your home remodeling ideas. The kitchen is one of those areas of the home that draws the most attention. Whether you are hustling the kids off to school after a healthy breakfast, or you are ending the day with a quiet glass of wine with your spouse, there are many memories ready to be born in your new kitchen. Your new kitchen cabinets are a big part of that, and we will make sure we get them right. High quality work that is custom designed for you will make your kitchen into a space you have been thinking about for years and will enjoy for years to come. Why not sit down and talk with our design experts today to see what we can offer you? Our home remodeling contractors will do all the work for you, from building to installation. 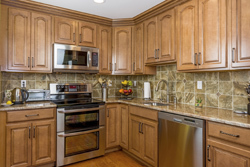 We will work with you throughout the process and will get your kitchen cabinets in before you know it. We know how important it is for you to know what is going on, so you can count on us to remain in contact with you throughout the process. Get our team working for you today! 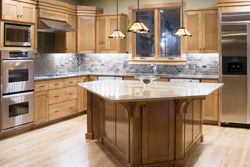 We build kitchen cabinets in Carmel, Fishers, Noblesville and all surrounding areas.